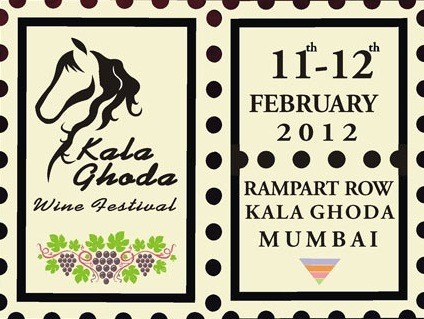 The 2012 Kala Ghoda Wine Festival will be held on Feb 11 and 12, 2012. The 2011 wine festival was a great success and it was completely sold out. The wine festival is part of the 2012 Kala Ghoda Art Festival. Wine Tasting: Sample fine wines from top Indian and International wineries. Cheese Tasting: Sample gourmet cheese from India and all over the world. Meet Experts: Meet Sommeliers (wine stewards), wine experts and wine producers. Art for Charity: Purchase artwork, proceeds of which go to charity. Purchase Wines: Purchase fine wines at a discount. Grape Stomping: Stomp grapes that go into making wine. Food: Wide range of Indian and International food. Enjoy gourmet cheese. Music: Live band and Karaoke. Address: Joss / Rampart Row, 30, K.Dubash Marg, Kala Ghoda, Mumbai 400023. This is bang in the center of K Dubash Marg. 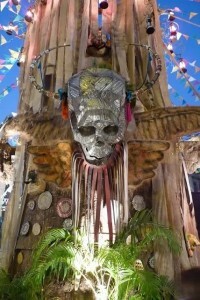 Date: February 11 and 12, 2012. Entry pass cost Rs 450 is purchased online and Rs 550 if purchased at the venue. Note: Admission fees only cover wine tasting. Food has to be purchased.